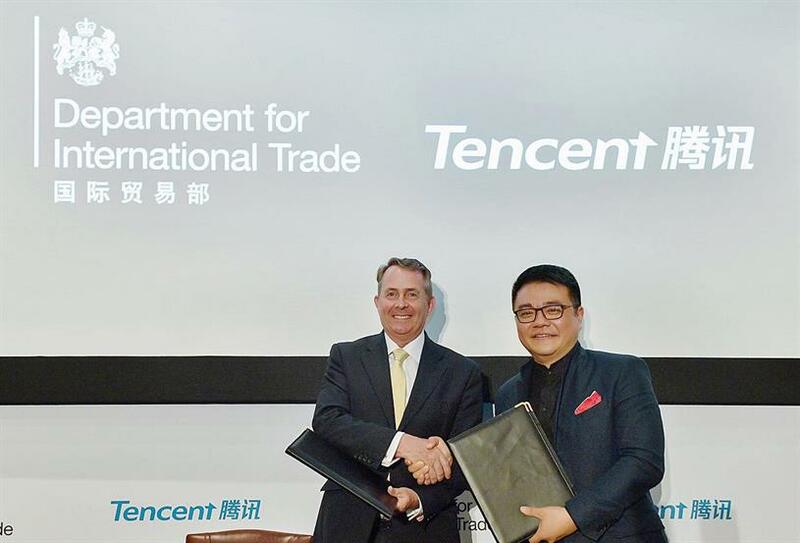 China-based tech giant Tencent has signed a Memorandum of Understanding with the UK's Department for International Trade to work closely in the cultural and creative fields. From now on, Tencent, loosely described as the combined WhatsApp, Facebook and Twitter of China, will work closely with British institutions and corporations, including British Tourist Authority, BBC, British Fashion Council, Springer Nature and many others to launch various "Culture Creative" initiatives. "This is significant for all the creative industries in the UK, including the advertising industry," Stephen Woodford, chief executive of the Advertising Association told Campaign. "This spans public services to cultural exchanges and advertising models are integrated throughout Tencent's ecosystem." Partnerships such as these will matter greatly to a post-Brexit Britain, Woodford said. "China will be a priority and this partnership presents huge commercial opportunity for brands for the UK's advertising export industry." Further, Woodford continued, this partnership could be the very beginning of Tencent's investment in the UK which has the potential to match that of Google and Facebook in the country. Tencent is China's second most-valuable company and runs WeChat, its all-in-one messaging, social networking and payment system. "As an international economic department, we are determined to help UK companies to forge new global trading ties that will boost trade, drive growth and provide jobs to every part of the country, " Liam Fox, the International Trade secretary, said at the signing ceremony this morning. The partnership includes a three-year partnership between the BBC and Tencent Penguin Pictures, the company's film-production arm. This follows the 2017 award-winning documentary Blue Planet II that was jointly produced by Tencent Video and the BBC. Other collaborations include a British version of the "QQ Speed Mobile Game", a 3D-mobile racing game launched in 2017, which has 100 million registered users and more than 20 million daily active users; a collaboration with Oxford University to create esport tournaments and courses; and a partnership with Nature Research to support interdisciplinary collaboration between the healthcare industry and AI research communities. "The culture and technology industries in the United Kingdom are well recognised around the world, and we believe that there will be a lot of collaboration opportunities in the future. Seng Yee Lau, senior executive vice-president of Tencent, said at the event. "Imagine a time, not long from now, when the empowering nature of digitisation is available to everyone in the world. What we are doing today is a first step towards making that image a reality."